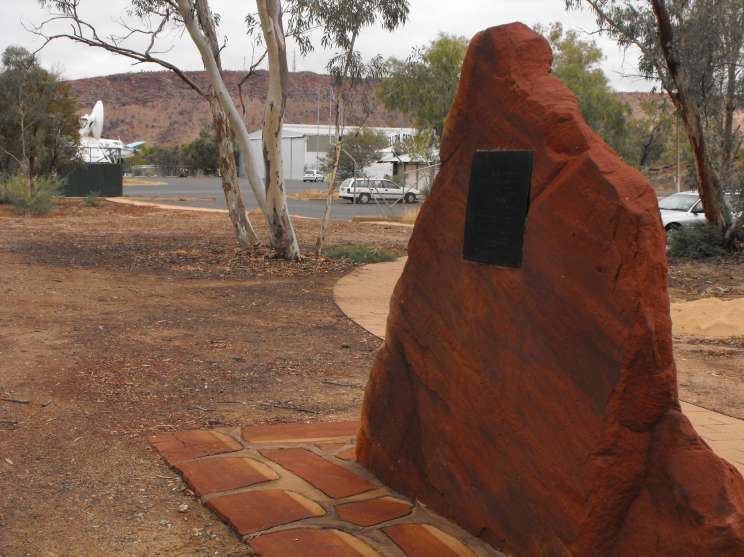 A memorial to the aviators Keith Anderson and Henry Hitchcock, commonly referred to as the Kookaburra Memorial after the name given to their Westland Widgeon Mk III aircraft and is located near the Connellan Airways hanger at the old Alice Springs airport in Central Australia. The hanger now houses the Central Australian Aviation Museum. 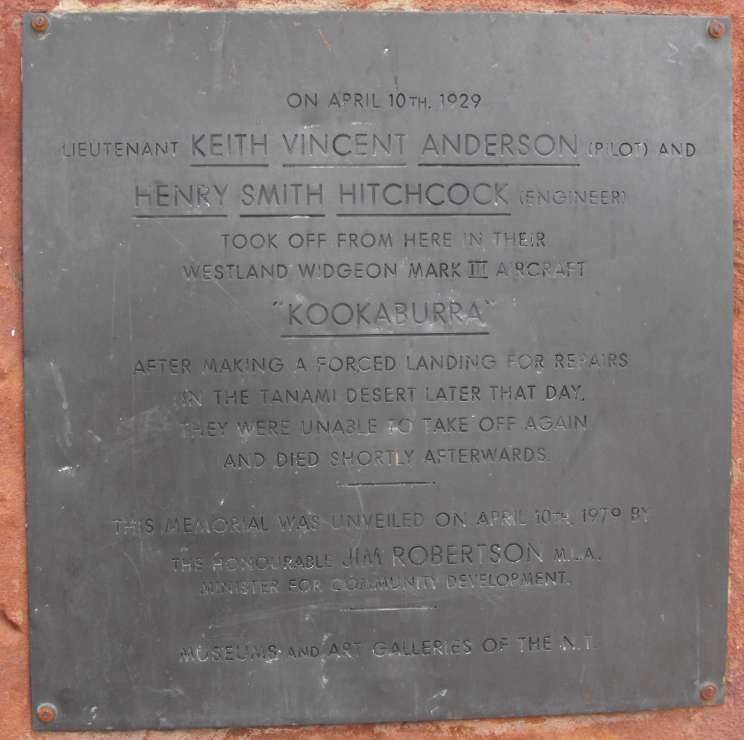 Anderson and Hitchcock took off from Alice Springs on 10 April 1929 in the Kookaburra to search for Sir Charles Kingsford-Smith and Charles Ulm who had gone missing along the remote north west Australian coast when their aircraft Southern Cross made a forced beach landing. Mechanical problems with the Kookaburra forced Anderson and Hitchcock to land in the inhospitable Tanami Desert north west of Alice Springs and, being unable to clear a suitable make-shift runway, perished in the desert. Their bodies were recovered a two weeks later after an extensive aerial and land search. Wreckage of the Kookaburra was relocated in 1978 after a number of searches over subsequent decades. The memorial and plaque commemorate the 50th anniversary of their loss. The Museum includes a display of the wreckage representing the scene at the time of the Kookaburra's recovery. 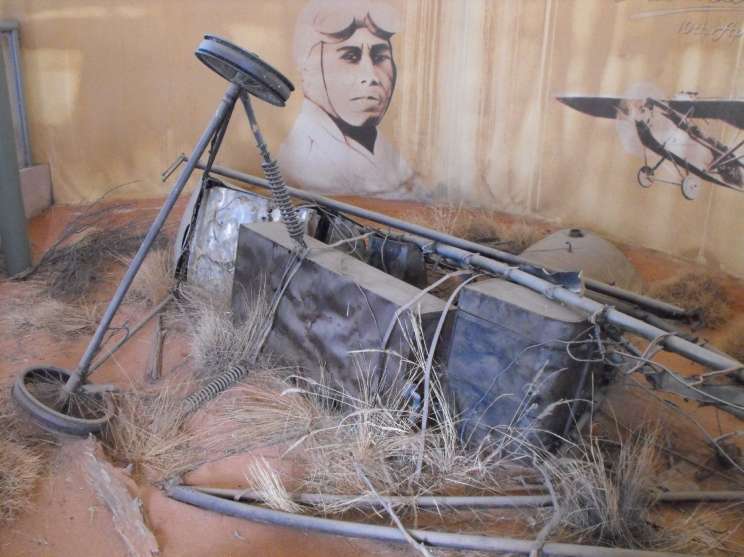 The display of the wreckage at the Central Australian Aviation Museum.